Mort lives in San Francisco's little Mill Valley suburb. He offers a one-hour show including Q&A, every Thursday evening at the Throckmorton. Check Mort's Twitter account for a link to the latest show available streaming online. .
Mort's in the Jerry Lewis film "Max Rose." After Ben Gazzara died, Mort was brought in to take the part. Variety's review: "Only the most undiscriminating senior audiences — or the most irrationally charitable of Lewis fans — will find much to appreciate in a would-be weepie that runs under 90 minutes but feels twice as long....Moving into an elder care facility when his cognitive abilities begin to fail, Max gives a tiny bit of attention to each of three other nursing home inmates (including one played by Mort Sahl); far and away the film’s best scene has the old guys drunkenly comparing notes on the indignities of aging." Coming up in 2017 - a biography of Mort. More details soon. Updates...on a need to know basis. Thank you for individual perception in finding this site. Any banner ads on this site are not endorsements; they are placed by our Internet Service Provider. Tripod takes the ad income, but you get to view this site. What a deal. Click above link for a YOU TUBE of Mort talking about movies with Merv Griffin. Click above link for a YOU TUBE of the "Phone Call to God" anecdote Mort told on Merv Griffin's show. A new feature at the L.C. is the induction of worthy albums into the archives, as chosen by the "National Recording Preservation Board." Among the first inductees: the first recording made (but not released) by Mort: "Mort Sahl at Sunset." "Mort Sahl may not have wanted his comedy album “At Sunset” to be recorded, but it is now headed for a permanent place in the audio archives of the Library of Congress, along with works by Tammy Wynette, Captain Beefheart, Al Green, Steely Dan and De La Soul, as well as one of the earliest known recordings of “Take Me Out to the Ball Game." For more on the album, you can check Ron Smith's books, either "Goldmine Comedy Record Price Guide," or "Comedy on Record." One thing about being narrow-minded: you'll never be lonely. What happens in Vegas, stays in Vegas- except the drone. Obama says his recreation consists of reading the Constitution…looking for a loophole. I watched Ken Burns' Civil War series on PBS. My favorite segment is when Bob Hope entertains the troops at Gettysburg. Obama said he went to Libya because of his conscience. Did anyone ever wrestle with his conscience and lose? Remember when movies were just good or bad, before auteurs, film festivals, and guys from USC who were the first to shoot underwater? New book on Malcolm X says we don’t know how he was killed. Want to bring in the FBI. Maybe they were in already. Hillary’s explanation of the Libyan action to Congress was so good, I wonder who explained it to her? Obama is running again for spite. I went to computer class with my Dell and I was bullied by a guy with a Mac. When Obama ran, he said, "We can change the world!" The world: CAN YOU CHANGE IT BACK?! 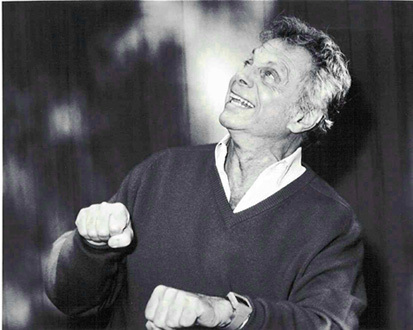 The Mort Sahl Website is edited by Ronald L. Smith. To get in touch, contact the webmaster... cykottick AT hotmail.com.